Home > UNRCCA participated at the Seventh Regional Economic Cooperation Conference on Afghanistan (RECCA VII). The event was conducted at the Ministerial level and brought together high-level delegations and senior representatives from over 67 countries and organizations. Within the framework of the Conference, a number of events were convened by the Governments of Turkmenistan and Afghanistan such as the Academic Forum, Business Forum, the Special event on Women’s Entrepreneurship, as well as the Exhibition and the Business Matchmaking Event. The participants to the Conference have reiterated their commitment towards the implementation of the regional cooperation and investment projects in the areas of energy, transport networks, trade and transit facilitation and communications. Within the Conference working group meetings, the Lapis Lazuli Transit Route Agreement was signed between five participating states, with the aim to create a transit corridor across Turkmenistan, Azerbaijan, and Georgia, reaching the Black Sea into Turkey and connecting Afghanistan to the international waters. 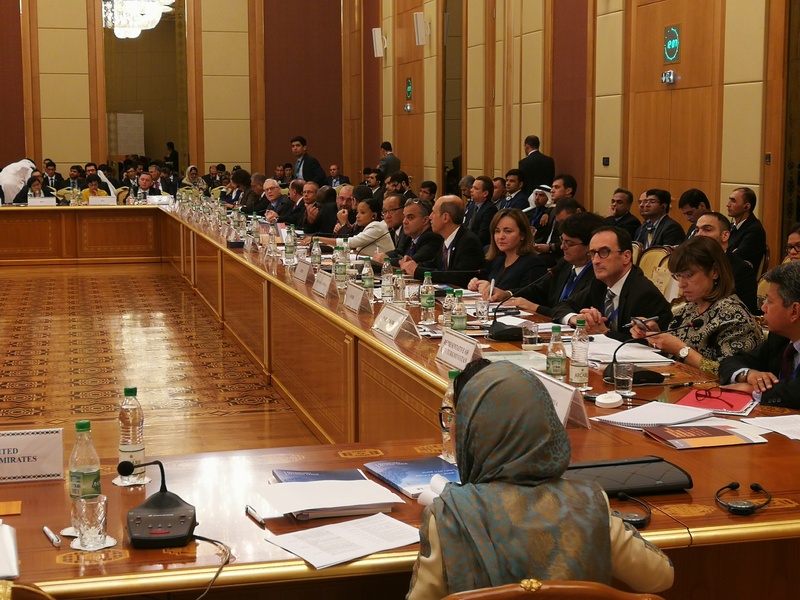 In her address, SRSG for Central Asia and Head of UNRCCA Natalia Gherman stressed the efforts of the Central Asian states to contribute to the long-term stabilization of Afghanistan through infrastructural projects, capacity building, and humanitarian assistance. At the same time, the UNRCCA as the UN platform inside the Central Asian region to address threats to peace and security, is very well placed to support regional cooperation between the Central Asian partners and Afghanistan. The UNRCCA proceeds from the premise that addressing the root causes of potential threats by constructive cooperation on economic sustainability, employment opportunities, cross-border exchanges and connectivity – is the best investment in preventive diplomacy. UNRCCA has been consistently engaging the Afghan counterparts in activities related to countering cross-border crime and capacity building. Afghanistan, as one of the states located in the Aral Sea basin, is already participating in all transboundary water management activities organized by the UNRCCA. The UNRCCA is determined to consolidate this cooperation and contribute to building trust and understanding between countries and peoples in the region.